Dave Wallace and the Stanley Cup. Last Tuesday I spent some time shooting on one of Dave Wallace's sets for a YouTube video due to release as soon as the Canucks win the final game of the Stanley Cup. 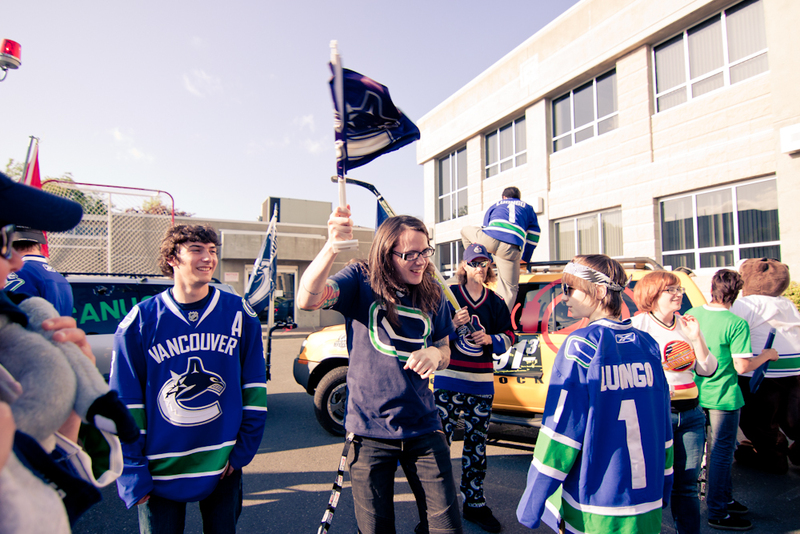 With The Zone on board, Dave managed to bring Canucks fans of all ages together for the shoot. After Dave gave the fans a quick briefing on what his vision was for the video and how to be part of his "crew," Daniel Pender started rolling the footage and Dave and his bro, Jean-Paul - of the band, Maurice - did their thang. The rest can be seen in the video or my photos. 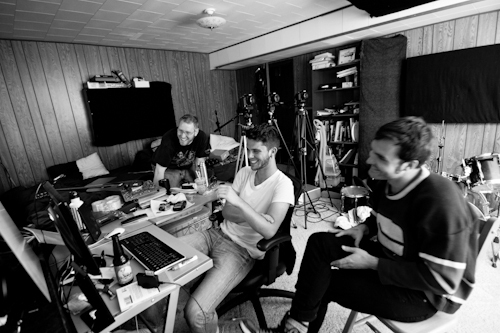 After the outdoors shoot, we went to Dave's famous studio, where many a hit has been made (ever seen: "Creating a hit: 8 Hour Challenge"?). I had a blast as soon as the studio lights came out; it was a wonderful change from shooting in the harsh sunlight at The Zone. I just had to steal Dave and JP for a minute to get some fun pictures with the Tokina 11-16mm f/2.8. In fact, I got JP to turn the camera on me as I turned my swagger on. How often do you get to see a picture of me on here? 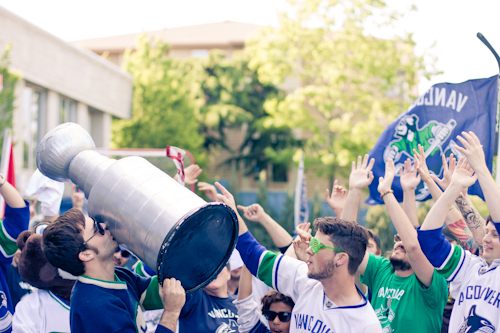 Check the video out when the Canucks win Game seven on Dave's Channel.